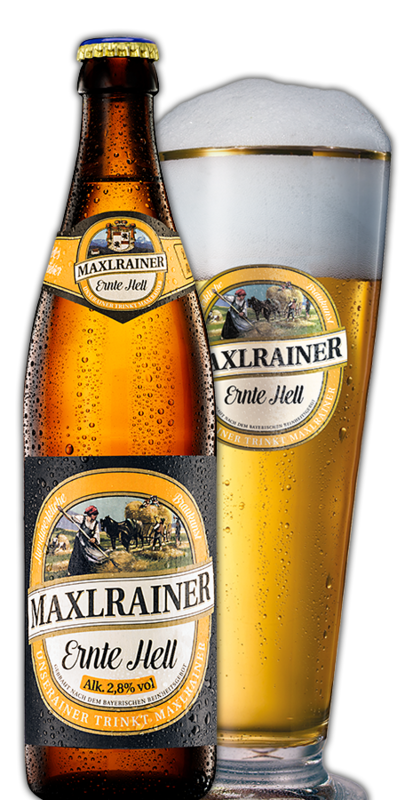 Brewed from two different pale barley-malt varieties, Maxlrain ERNTE HELL or PALE HARVEST, is a full-bodied welcome alternative for beer-lovers with an awareness of alcohol levels but nevertheless reluctant to sacrifice quality of taste. With only 2.8% vol. of alcohol, this popular beer speciality with its characteristic malt aroma and stable foam head is 100% MAXLRAIN in taste and quality.